From the jeaves of Rabdosia nervosa (Hemsl.) C. Y. WU et H. W. Li (Labiatae), a new diterpenoid nervosin (II) was isolated and the structure was established by spectroscopic evidence. One known diterpenoid, odonicin, was also isolated together with an other new diterpenoid (will be published elsewhere). 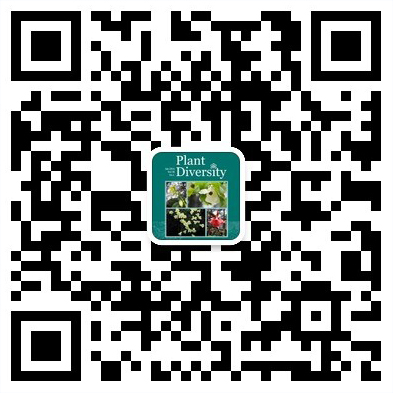 Select STUDIES ON THE CHEMICAL CONSTITUENTS OF C0RYDALIS PALLIDA VAR SPEA0SE K0M. Amethystonal and amethystonoic acid, two New diterpenoids were isolated from Rbdosia amethystoides (Beath.) C. Y. Wu et Hsuen. collected in Xin- Xan, Honan. From spectroscopic evidences and chemical reactions the structures of the amethystonal and amethystonoic acid have been established as ent-7β, 12β, 14α-tri-hydroxy-18-ald-16- (I ) and ent-7β, 12β, 14α- tri--hydroxy-18-Carboxy-16-Kauren (Ⅳ), respectively. These two new compounds (I ) and (Ⅳ) appear to be the first 12-and 18-simultaneously oxy- genated ent-kaurenoids from Rabdosia plants. In this paper, accumulation of total dry matter of a single plant and parti-tioning of dry matter in various organs of winter wheat (Triticum sativum L. c.v.Fengmai 13") grown at an altitude of 840 m (lowland) are compared with those of the same wheat grown at 2150 m (highland). The results showed that the low temperature at high-altitude localities made slower the accumulation rate of the dry matter at early stages of winter wheat grown at,thase localities than at lowland, and its total accumulation level is less too. After the beginning of filling, however, more dry matter was accumulated. Rice baploid young panicles (0.5-4 cm length) were cut into fragments in 1 mm size and cultured on a N6 medium with addition of 2.4-D 1 mg/l at 26℃ for 15 days. The fragments were easy to be induced into calli. About 30% of calli transferred on a medium with addition of NAA 0.5+KT 2 mg/l differ- entiated into plantlets. About 30 clusters of green plantlets were obtained from the fragments of one panicle on average. Plantlets also regenerated directly, not through callus, from the fragments cultured on a N6 medium with addition of NAA 1 +KT 2 mg/l. The shoot buds were initiated from the epidermis cells and cortex cells adjacent to them at the region between.the sterile lemma and the fertile lemma of a spikelet on a fragment. About 12 clusters of plantlets were obtained from the fragments of one panicle by this way. In both cases, albino plantlets were less than 2% in regenerated plantlets. 98% of regenerated plants were haploids. However, treating the calli with the colchicine at 200 mg/l in 42% dimethyl sulphonate(DMSO) aqueous solution resulted in production of 50% fertile diploids in regenerated plants without decreasing the differentiation frequency of calii. Acer tienchuanense Fang et soong in Acta phytotax．Sin．11（2）：187-188(1966)quoad specimen K.H.Yang 54576．Species flores 6-numero, in Acer L. adhuc minus cognita. Arbor, 5-12 m alta. Cortcx flavescenti-cinereus. Ramuli robusti, glabri, hornotini flavescenti-cinerei, sparse lenticellis. Gemmae ellipsoideae, major, pe- rulae 4-6, ovatae, brunneae, superimpositae margine ciliolatis. Folia trifolio- lata; foliola chartacea, oblongo-lanceolata vel oblongo-elliptica, (9-) 10-14 cm longa, 2.5-5 cm lata, apice acuminata, basi truncatus, margine sparse crenata, supra viridia, glabra, subtus glauca, cinerea, ad nervos albo-villosa, ad axilles barbata; costa supra conspicua, subtus elevata; nervis lateralibus 6-7, subtus elevatis, petioluli foliolorum centralium 5-10 mm longi, petiolus 3.5-7 cm longus, glabrus, basi dilatatus. Inflorescentia corymbosa, 2.5-3.5 cm longa, glabra. Da Xue Mountaia of ZhenKang County is situated in 24°20′ N and 99°6′, E, the south-west part of Yunnan Province. The altitude from vally to peak is about 2000 m (1700 m to 3500 m). The evergreen broad-leaf forest is mainly located between 2000 m and 2500 m. It is well preserved, and is a kind of representive of mountain humid evergreen broad-leaf forest in subtropical region. Species nova T.kunmingensi H.Li affinis，sed cataphyllis 2; foliis 1—2，segmentis margine integris vel Crispis; inflorescentia sterili inferne 1.2 cm longa florum sterilium rudimentis clavatis dense inserta; inflorescentiae femineae stipite 2—4 mm longo glabrato; appendice breviore et graciliore,fusco-grisea（sica fuliginosa），purpureo－maculata，basi stipitata，stipite 3-5smm longo differt. Affinis P.heterolobae Wedd., quae foliis minoribus 8-l5 cm longis, nervis lateralibus paucioribus latere latiore 6-7, cystolithis majoribus 0.2-0.3 mm longis, acheniis tuberculatis differt. Herba perennis, dioeca. Caules circ. 80 cm alti, glabri, vel superne sparse puberuli. Folia breviter petiolata vel subsessilia; laminae herbaceae, oblanceo- lato-oblongae vel oblique ellipticae, 14-25 cm longae, 5-8.2 cm latae, apice acuminatac, basi latere angustiore cuneatae, eo latiore auriculatae, margine supra basin multe obtuseque dentatae, supra glabrae, subtus secus costam nervosque sub lente puberulae, cystolithis inconspicuis vel conspicuis densiusculis 0.1-0.15 mm longis, penninerves, nervis lateralibus latare angustiore 9-12 co latiore 10 -14; petioli ad 1-3 mm longi, brevissime puberuli vel subglabri. Rhododendron Sphaerohlastum Balf. f. & Forr. var. wumengense K. M. Feng, var. nov.-- R. sphaeroblastum auct. non Balf. f. & Forr. : Ch- amberlain in Not. Bot. Gard. Edinb. 39(2 ):448(1982), quoad P. Y. Mao 1018. A var. sphaeroblasto differt foliis tenuiter coriaceis, subtus tenuiter fulvide cinerascenterque lanatis per totam faciem dense obtectis; etiam affinis R.trai- lliano Forr. & W. W. Sm., sed petiolis pedicellis et ovariis glabris. Sect. Trachycarpae Fedde of Corydalis Vent. is an endemic group in China. They are mainly characterized by having fibrous roots of the thickened, fleshy, clavate and no leaf on the lower stems which gradually become linear towards the base and a few basal leaves possessing long petioles. In this section there are eighteen species all told. It is divided into three series according to - their respective different characteristics, they are:Ser. 1. Trachycarpae C. Y. Wu et H. Chuang, Ser. 2. Kokianae C. Y. Wu et H. Chuang, Ser. 3. Sac- berulae C. Y. Wu et H. Chuang. This section is concentrately distributed on the west and south of Gansu, the west of Sichuan, the northwest of Yunnan, the east and northeast of Xiz- ang, about between 27°-40° N and 91 °-103°E, namely concentrately distribu- ted on castern margin of Qinghai-Xizang Plateau, it is in the west of Sichuan and the northwest of Yunnan and the east of Xizang that they get the most concentration. Ex affiilitate S.tubiferae Batal. s. l ., a S. fusciduliflora Kawano racemo glabro, perianthii partibus interioribus margine ciliolatis distincta. Rhizoma glacile, 1.5-2.2 mm crassum. Caulis 5 -20 cm altus, superne minute pubescens. Folia 2, papyracea, alternata ovata vel oblongo-ovata, 2-5 cm longa, 1.5- 3 cm lata, apice acuta vel abrupte acuminata, basi subrotunda vel subcordata, supra viridia subtus glauca, utrinque pubescentia, brevissimum desinentia. Racemus simplex, glabrus, floribus 1 -4, 0.5- 3 cm longus. 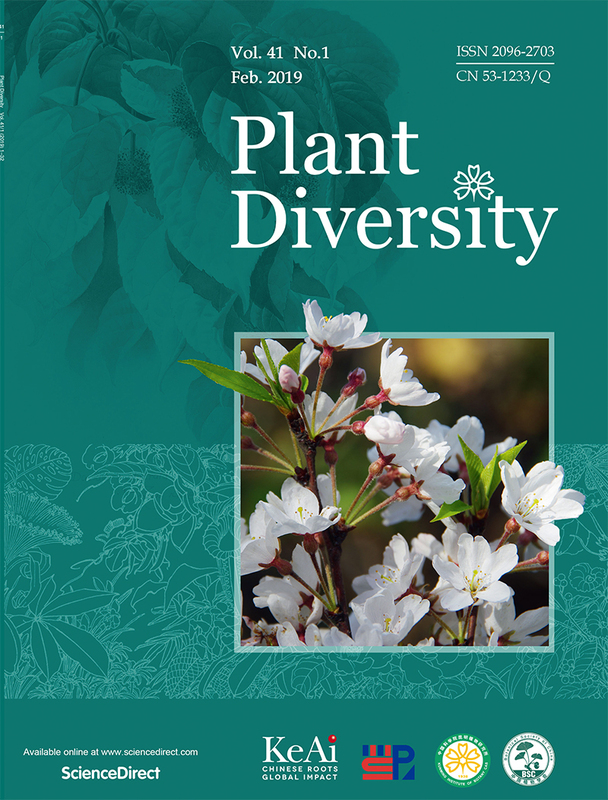 This paper deals with the application of the numerical method in plant taxonomical rescarch. Using Sect. Stenophora Uline as an example, interspecific variability was measured by using methods of cluster analysis. Analysis with 36 phenetic char- acters (23 external morphological, 2 cytological, 3 palynological, 5 phytoche- mistrical, 3 geographical and distributional) supports the delimitation of the 18 species as distinct taxa on the hasis of correlation coefficient and distance coeff- icient. Comparing with Pei et Tings (1979) systematic studies, similar results were found with correlation UPGMA method for cluster analysis.